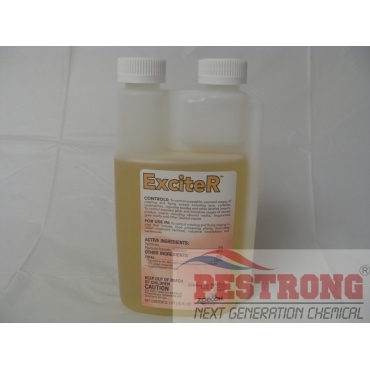 Where to Buy ExciteR Insecticide, ExciteR Insecticide Fogger Pyrethrins - 16 Oz - $56.95 for Sale with Fast Free Shipping! ExciteR Insecticide Fogger Pyrethrins - 16 Oz is recommended for commercial / industrial / institutional use with 6% pyrethrins concentrate . ExciteR insecticide contains 6% pyrethrins and can be used alone in a fogger or hand pump sprayer, or as an additive to other insecticides such as malathion, bifenthrin, permethrin or cypermethrin for faster knock-down. ExciteR does not leave a long residual(Flushing action). You can mix with other pesticide for long residual. I love fast knockdown products! Gets rid of the pest faster! High concentrate of pyrethrins 6%. It will work.